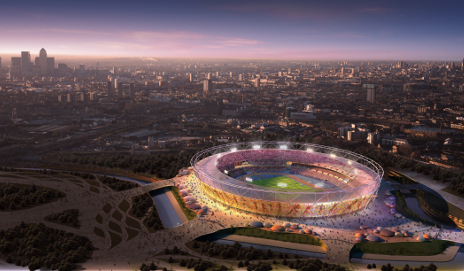 I want to watch at least one or two events at next year’s London Olympics, whether it’s athletics, cycling or swimming. The problem is that the organisers aren’t making life easy for me in the ticket bidding process. Can you spot the flaw in the following timeline? The first I’ll know of whether I’ve been successful in my application is when the cash has been taken from my bank account. And I probably won’t know the details of the tickets I’ve actually won until a month after I’ve paid. Any events that are oversubscribed will be put into a ballot, so I don’t know if I’ll get any tickets at all. And here’s problem number two. If I apply for tickets for loads of events, I might get none, or I might get them all. I’m planning to go with three friends – we want to attend the same events together so I’ll be ordering tickets on behalf of all four of us. As the money will be taken from my current account before I know whether I’ve been successful, I’ll need to make sure there’s enough cash in my account to cover the whole potential bill, even though I might end up with just a couple of £20 tickets. Even applying for tickets in the middle category for a few different events (say, the 1500m final, the basketball preliminaries and the beach volleyball semis) means I have to keep at least £1,140 in my current account for the whole month from 10 May, just on the off-chance I’m successful in all three bids. If I change my mind and want to sell my tickets on, I’ll have to wait until 2012 to be able to get my money back on them. There must be a better method of selling tickets than this. In fact, I might just not bother. As I live in East London, I could rent out my flat while the Olympics is on. If you’re interested, send me your bank details by 26 April. I’ll take the payment on 10 May and will let you know by 24 June if you’re the successful bidder. I won’t tell you how far from the Olympics action you’ll be staying until then. And if you want to cancel, you’ll have to wait until next year to get a refund, and that’s only if I can find a replacement tenant. Sounds unfair? Tough, it’s the only show in town. Genius! Last two paragraphs made me laugh out loud. Thanks Martyn. Great points, well raised. -Let’s hope the powers that be read this and act on it …if it isn’t too late. This was something I noticed while registering on the site last night. I’m going on holiday during the payment period so I’m not confident that I’ll have spending money for one or the other simply because I can’t tell when payment will be taken. Will it be before I change my hard earned for local spending money, will it be afterwards? Sadly it is symptomatic of the whole corrupt business these days. Pure and unadulterated greed. The modern Olympics are not for the people – they are for the rich to get richer. Vote with your feet and not your credit card. I have just applied for various tickets, read the umpteen pages of legalese about it and still don’t know when they will refund my Visa if I fail to get tickets at an event requested. Will they credit back the Visa card in July? I’m wondering if the system is even legal. Their website states that I may not cancel my tickets once my application has been submitted. However, their full T&Cs apparently state that my statutory consumer rights still apply. Surely this means that I have a 7-day cooling off period. This would normally apply from the point when my order is accepted, in this case presumably from when I’m charged. But if if I’m allocated surplus tickets, I can’t cancel them within 7 days, as I don’t find out what they are until a month later! Unless I’m missing something, this is in breach of my consumer rights, as it tries to deny me my right to a refund, even when I’ve been unable to make an informed decision about my purchase. Well i got a confirmation email and got excited then realised that I still don’t know what I have been allocated, I really do feel like cancelling the whole thing as I can’t make plans just have to put up and shut up!!! Hopefully it will be worth it, i’m sending postive vibes through the internet. Barclaycard cancelled my card last week due to suspected fraudulent activity then I received an email from the olympics to say they tried to take payment but it was declined. I contacted barclaycard to get them to authorise the payment but because the card number was cancelled they can’t and the email from the olympics say they cannot accept different card details and of course there’s no number to call! I’m stumped and daresay Ive now lost my tickets due to this? Anyone got a view on what I can do, I desperately wanted my tickets!